How to get iTunes on Android Tablet and Smartphone? Can I install iTunes on Android devices? Last week, I got a Galaxy S9 I have tried several times to download iTunes to my Galaxy S9 with no luck, wether I try to run or save and run the result is the same the surface tell me this couldn’t run on this system, and I was to try the appstore, when I tried the appstore there was no results for iTunes. Please in simple steps tell me how to install the iTunes on Android tablet and smartphone. More and More popular Android Tablet and Smartphone walk into our life. How to make maximum use of the Android devices? Game, Music, Movies, Internet and shopping. If you are movies fan, you may like watching hot movies on Android tablet (Google Pixel C, Galaxy Tab S4, Kindle Fire HD 10, Galaxy Book, Huawei MediaPad M3, Lenovo Tab 4 10 Plus, etc) and smartphone (Galaxy S9, Galaxy Note 9, Google Pixel 3 XL, LG G7 ThinQ, HTC U12 Plus, Nokia 9, Vivo Nex, Oppo Find X, etc). iTunes is is used to play, download, and organize digital audio and video on personal computers running the OS X operating system and the iOS-based Apple devices, with editions also released for Microsoft Windows. How to install iTunes on Android? iTunes doesn’t have Android version, Android can’t run iTunes at ll. So, you can’t install iTunes app onto any Android devices. We can’t play downloaded iTunes movies and TV Shows on our Android device, why? FairPlay, as a DRM (Digital Rights Management) technology created by Apple, is mainly used to encrypt iTunes contents, including movies, TV shows, music videos, apps, ebooks, etc thus to prevent anyone from copying and sharing the medias to others. To put it specifically, FairPlay DRM protection restricts iTunes users to use purchased movies and TV episodes on Apple’s software and devices only other than non-Apple digital media players. Worse still, for users who rent movies from iTunes Store, they only get 30 days to watch the films and 24 hours (in US) or 48 hours (in other countries) to finish watching once started. If you want to play iTunes on Android, you need a best iTunes to Android Converter. How to play iTunes movies and music on Android? iTunes media files were protecting by DRM, especially the iTunes movies. Even though you transfer iTunes movies to your Android device, you can’t play it. Many syncing software can sync iTunes to Android tablet and smartphone. But, these softwares can’t remove DRM protection. How to play transferred iTunes movies and music on Android? For playing iTunes DRMed files on Android. We can use M4VGO to remove and convert iTunes M4V video/M4A music to all the Android smartphone and tablet. M4VGO aims to help you make movies and music purchased through iTunes store free for different uses. Besides, this top iTunes to Android Converter is able to convert iTunes video and music like M4V, M4A, MOV, WMV, MP4, etc. to many other commonly used formats, which makes it possible for you to freely enjoy the iTunes medias on almost all Android multimedia devices, such as Galaxy Note 9, Galaxy S9, Xperia XZ2, Kindle Fire HD, Galaxy Tab S3, Nexus 10, Huawei MediaPad M3, Sony Android TV, etc. Without authorizing. Free download iTunes to Android converter. Run it, below is a simple guide for you. 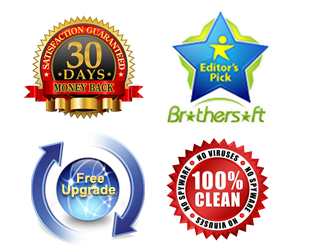 For Mac user, you can free try our iTunes Video Converter for Mac. 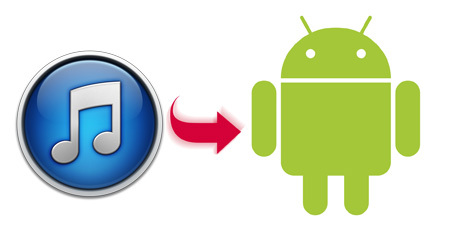 How to convert iTunes media files for Android device? Step1: Click “Add Files” to add iTunes files to this best iTunes to Android Converter. You can drag and drop iTunes movie or music to the software. Step2: Choose output video or audio format. For converting iTunes movies, you can click “Format” bar to choose output video format. You can choose MP4 format under “Common Video” column. For transcoding iTunes music to Android, go to “Common Audio” then choose “MP3” as output format. This software will help you convert iTunes music to MP3. You can play MP3 on Android tablet and smartphone well. Tips: If you wanna get much better image quality, you can set the video bite rate and video resolution. But notice that the output file size will vary based on video bit rate. Step4: After conversion, you can click open icon to get converted files. Transfer the video or audio to your Android devices via USB cable. Now, you can play iTunes on Android without installing iTunes on Android tablet and smartphone. Tips: How to spy on a cell phone (Android, iPhone, Blackberry)? In today’s fast-paced business world, every little competitive edge and money-saving or time-saving activity can be crucial to your bottom line. Some of the things your business cannot afford to tolerate are wasted time, inefficient use of resources, betrayal of trade secrets, stealing of leads and customers by competitors, misuse of assets. There are many ways of finding out if a husband or wife is cheating. You could hire a Private Eye, tail them yourself or get a friend to do it. These ways can be costly or could put yourself or your friend at risk of retribution. They’re also not really failsafe ways. There is no real failsafe way to track an errant spouse if they really want to cover their tracks or go to great lengths to conceal their cheating behaviour. Parenting is particularly tough when it comes to decisions like whether to give the kid a dumb phone just for calls or a full-fledged, cutting edge android. Of course you’d prefer the dumb phone because it’s cheap, and it is safe, a feature phone doesn’t grant your kid the often misused liberty to browse adult sites, eliminate the chance of encounter online sexual predator. But you have to be realistic, the kid want a Android SmartPhone (Galaxy Note 9, Galaxy S9, Nokia 9, Xperia XZ2, LG V35 ThinQ, Moto Z3 Play, Oppo Find X, HTC Bolt, Vivo Nex, OnePlus 6, etc. ), and this often lead to you giving what the kid want. But the responsibility of protecting your kid lies and it should be taken proactively. Having looked around at the plethora of cell phone monitoring programs, I’d have to recommend Smartphone Spy App. This is simply because you get the most bang for your buck from a reputable and customer service driven supplier. There are a number of less reputable services advertised online that have truly terrible feedback and quite often, simply don’t work. What is the android spy capable of? Calls – Spy on call list, contacts, record phone calls, also set restriction on certain numbers and contacts. SMS – Monitor SMS sent and received with stock android message app, retrieve deleted text messages. GPS location – Reports GPS location in real time. Third party chat client – WhatsApp, Skype are supported but root access of the android is needed. Media library – Gain remote access to the photos, videos taken by the camera on demand. Audio recorder – Turn on the audio recorder stealthily to record surrounding sound. iTunes to Android Converter has a well-designed interface and provides a wide range of choice of presets for portable media players like iPhone, iPad, iPod, etc. This makes it my optimal choice to convert my protected M4V movies. Besides converting music files, this Acrok Media Converter can also convert DRM videos and ordinary video/audio files. Great to watch iTunes movies and TV shows on my Android tablet and smartphone, Galaxy S6. This is the best one! I’m fed up with having to download the licenses for play protected video/audio files every time! This nice iTunes media converter has helped me solved the problem. Last night, I run it and left it to convert my protected M4V movies. This morning, everything has been completed. It just handled my iTunes M4V files as it says. This one is truely a master piece as it is able to convert the protected iTunes video/audio files.